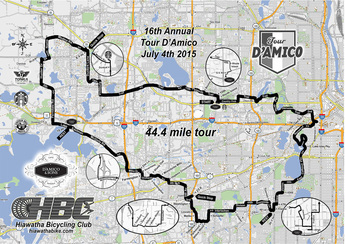 If you are in the Twin Cities over the 4th of July and want to ride, consider the Tour D’Amico (TDA) bicycle ride. 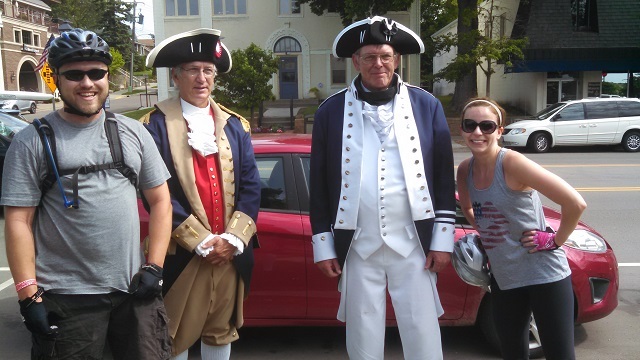 The Hiawatha Bicycling Club (HBC) and D’Amico & Son’s Restaurants invites you to start your Independence Day celebration with a scenic bike tour. Upon your return enjoy a delicious Italian picnic lunch. Now in its 19th year, select from one of four scenic routes options for a fun day. Registration is in the court area outside D’Amico Restaurant in the Golden Valley Commons Shopping Center, just off Highway 55 and Winnetka Avenue. 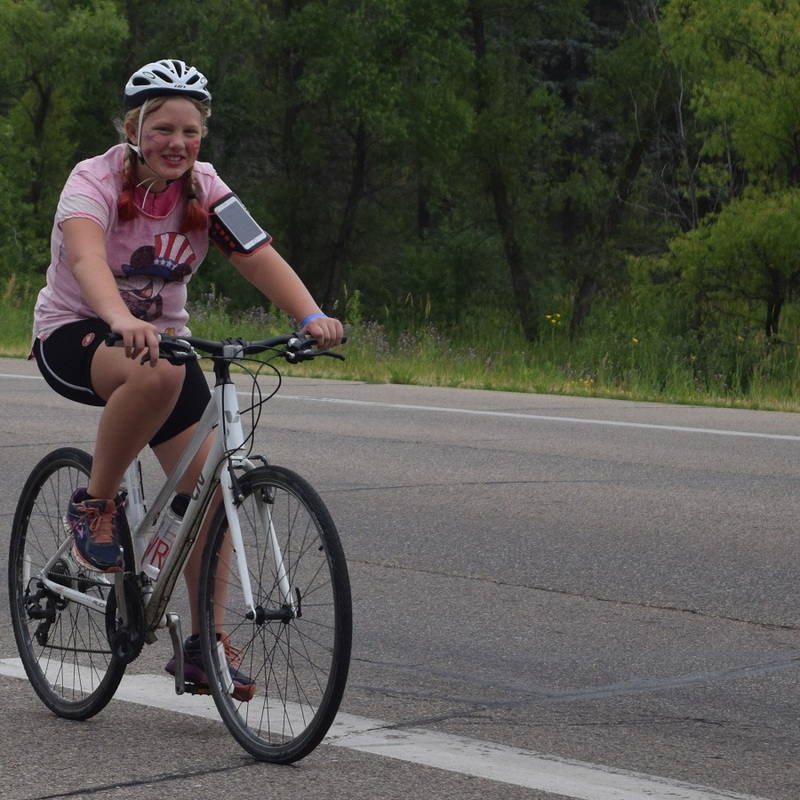 Pick up your ride packet or sign up with day-of registration and start riding between 8 to 10:30 a.m. on the Fourth. What a fun way to spend the early part of your 4th of July holiday. 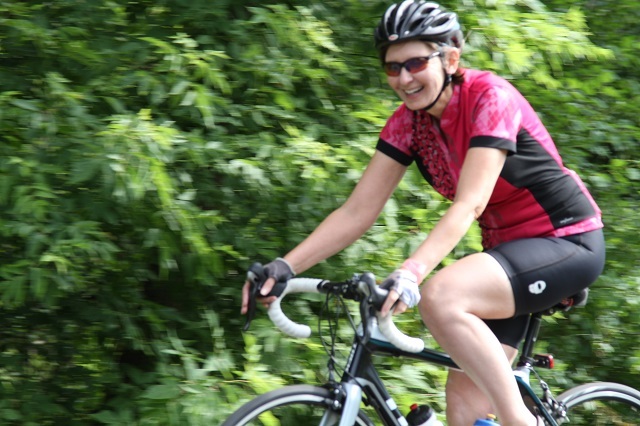 Leisurely ride the scenic parkways and trails with family and friends. Choose between the 20, 29, 44 or 62.2 mile scenic routes. All loops are mapped to give everyone riding a chance to explore some of the Twin Cities newest bike boulevards and trails. 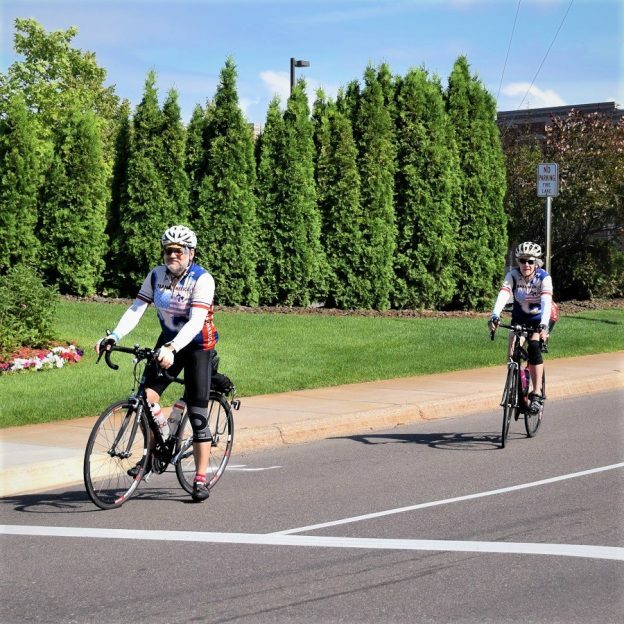 Along the way you will ride through parts of Edina, Hopkins, Plymouth and Wayzata before returning back to Golden Valley. 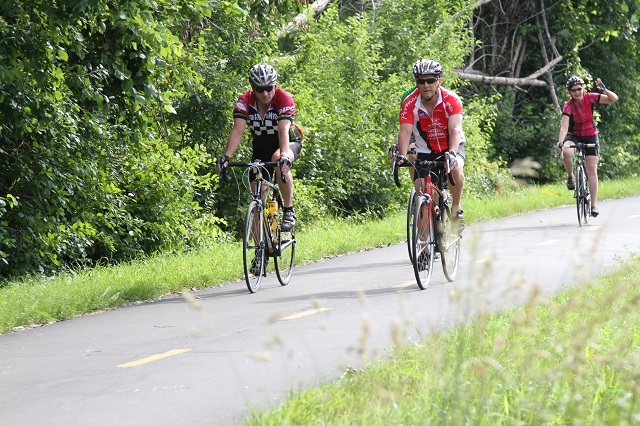 All four routes, through the western suburbs of the Twin Cities, are signed and supported. 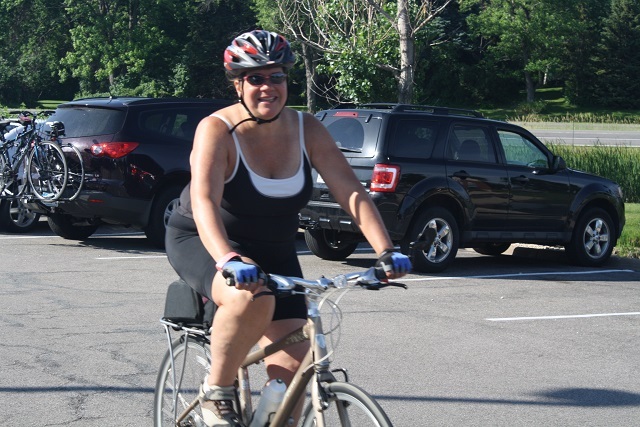 Maps and Ride with GPS will be available to further assist you on this fun bike tour. Along the way enjoy stopping at several rest stops for refreshments and treats. 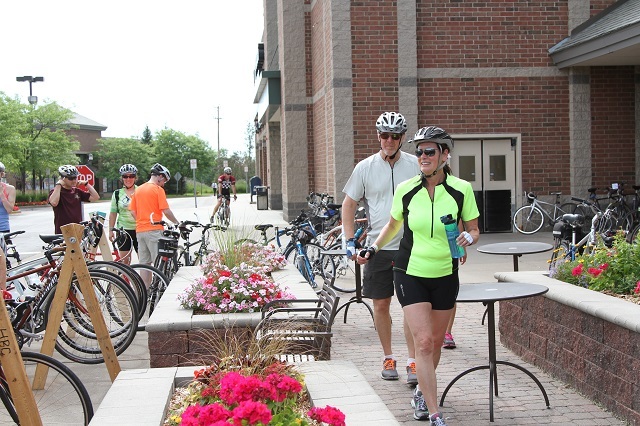 Then at the end of your ride savor a D’Amico & Sons American/Italian al fresco picnic lunch. 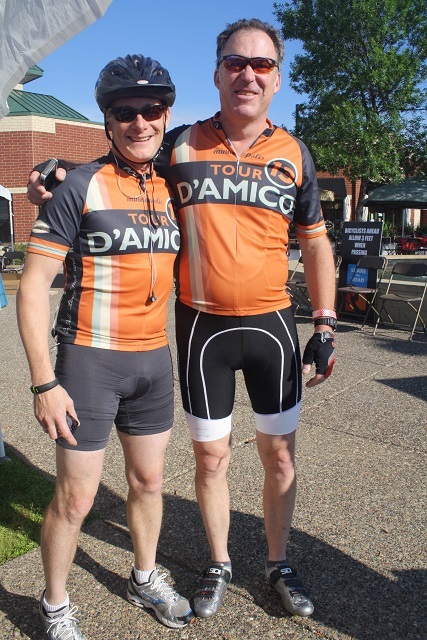 You will not go hungry or thirsty on the Tour D’Amico! Hydration rest stations will be provided along the routes. Menu samplings and snacks will be served along the way. 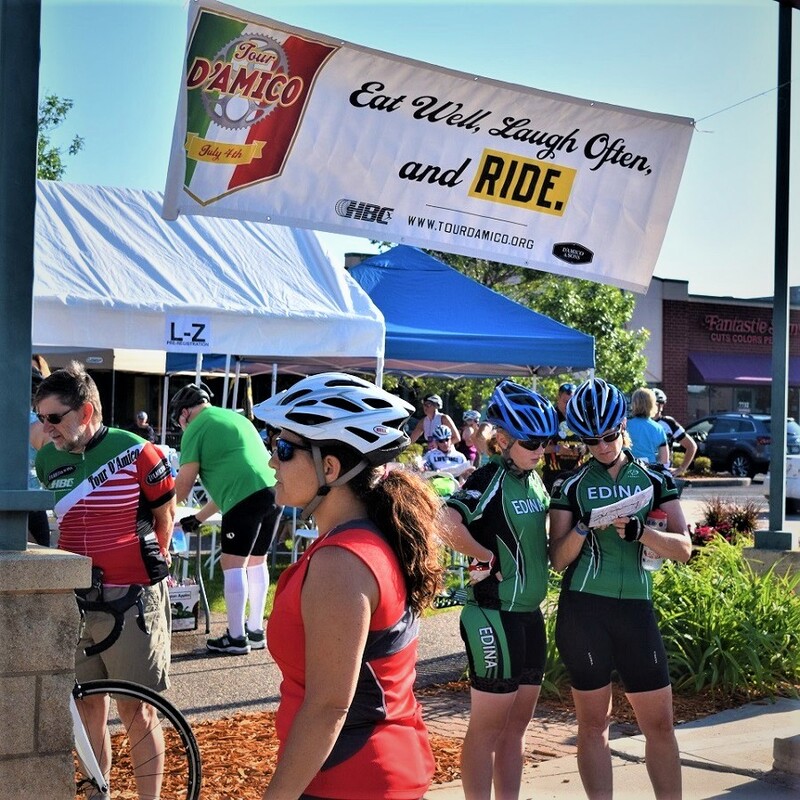 At the end of the ride, back in Golden Valley, D’Amico and Sons will greet you with a post ride buffet lunch when you return to Golden Valley. With so many choices and the dessert bars are sinfully delicious. 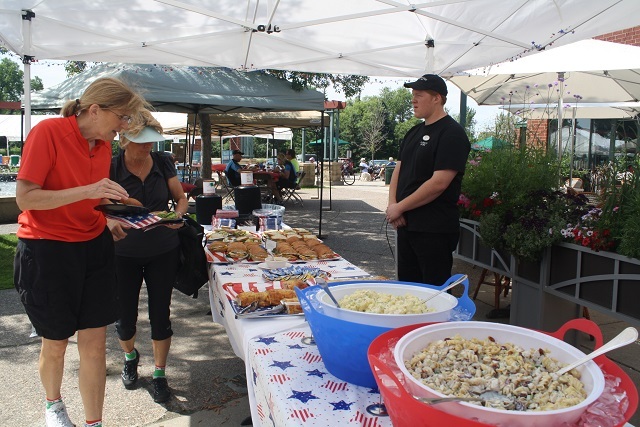 Celebrate the 4th of July with a D’Amico & Sons picnic after the ride – you deserve it! 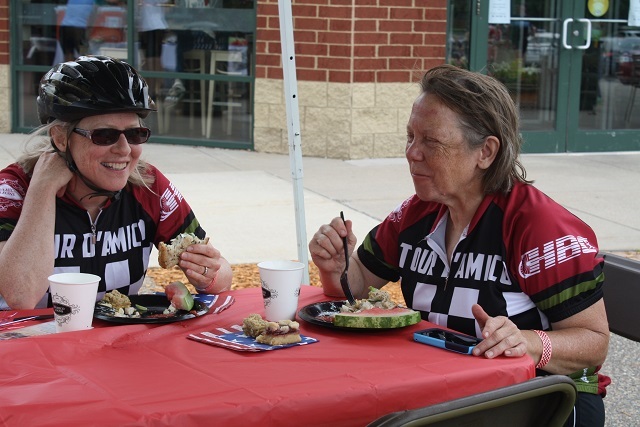 Everyone always enjoys the fine food and refreshments D’ Amico’s served after the ride – Sign up today! Order one of these fun TDA jerseys and share your 4th of July memories throughout the year! 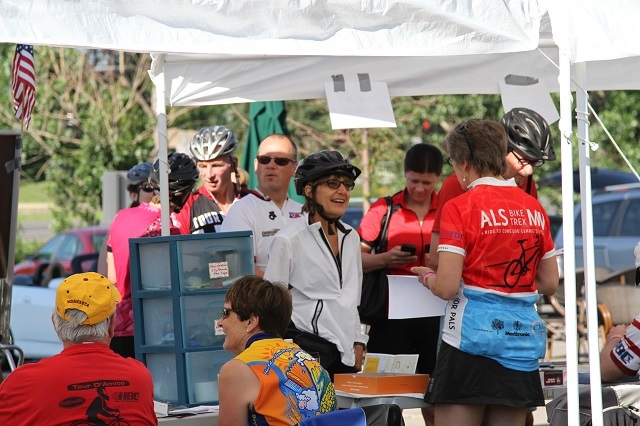 Before leaving the bike ride, order a TDA Jersey, with a full zipper and pockets in back. 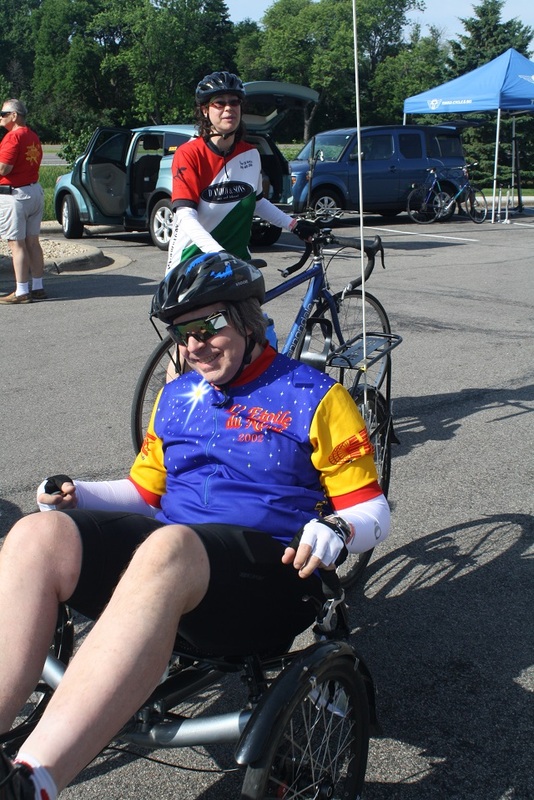 Join the club at Hiawathbike.org to learn more about all the fun rides they lead, like the Tour D’ Amico. 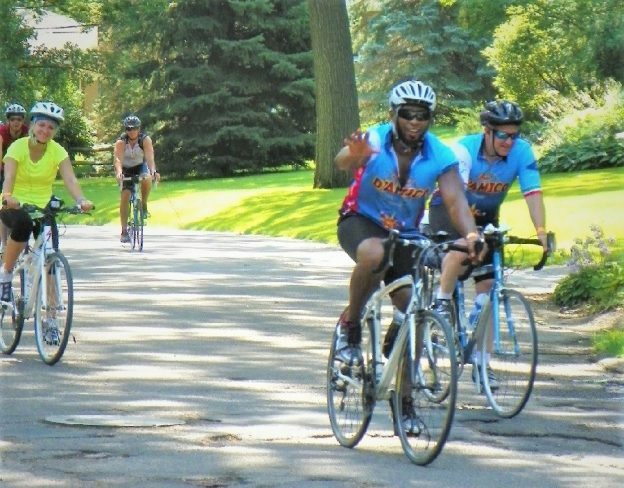 Proceeds from the Tour D’Amico benefits the Children’s Lighthouse, trail maintenance projects in the Twin Cities and the bike education program of the Bicycle Alliance of Minnesota. 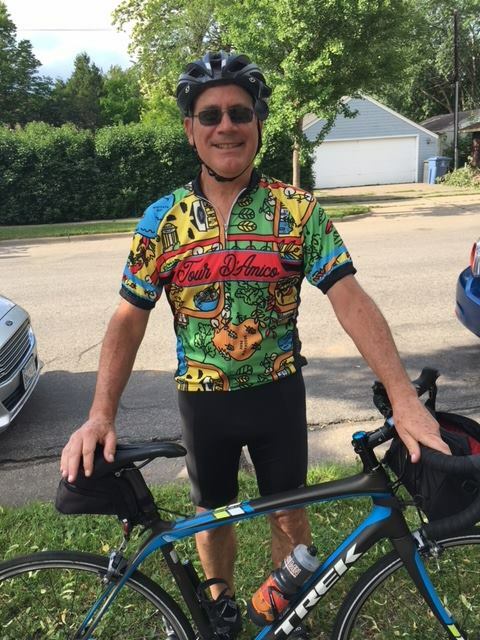 This entry was posted in News and tagged 4th of July Bike Ride, 4th of July bike tour, D'Amico & Son's, HBC, Hiawatha Bicycling club, July 4th bike ride in Minnesota, July fourth bike ride, TDA, Tour D'Amico bike ride, Twin Cities, Twin Cities 4th of July Bike Ride, Twin Cities bike club on June 23, 2018 by Russ Lowthian. Today’s ‘riding into the Monday morning sun’ bike pic captures another beautiful spring weather day before summer begins. 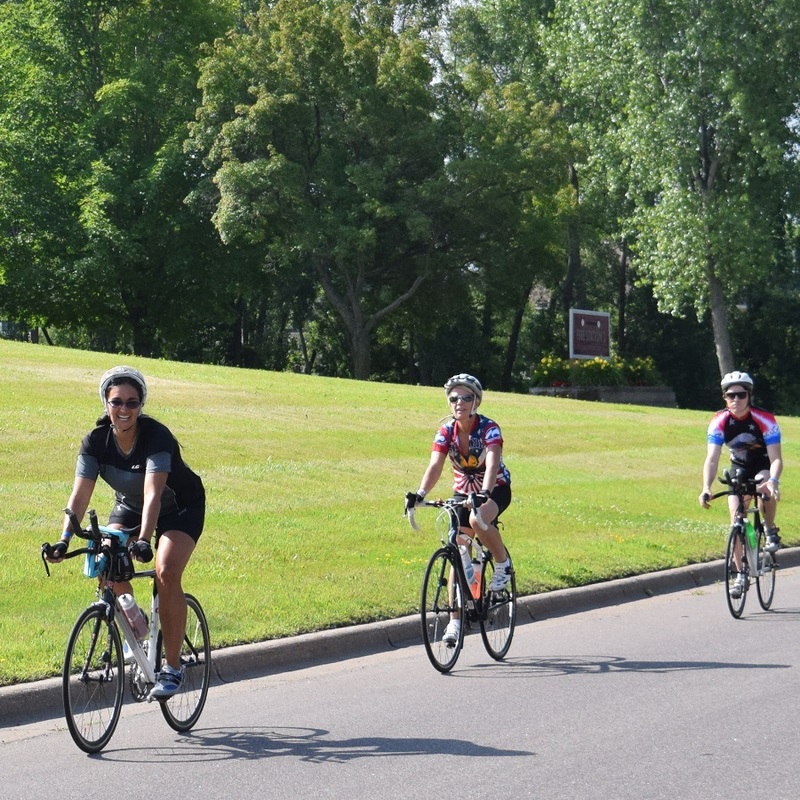 Here, bikers are on the annual Tour D’Amico (TDA) bike ride, on the 4th of July, in the western section of the Twin Cities suburbs. 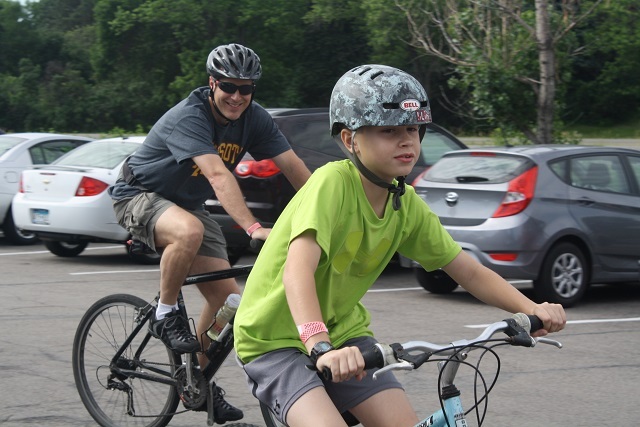 This entry was posted in Picture of the Day and tagged 4th of July Bike Ride, 4th of July bike tour, bicycle pic, Bike dude, Biker chicks, D'Amico & Son's, fun bicycle picture, HBC, Hiawatha Bicycling club, July 4th bike ride in Minnesota, July fourth bike ride, sun glasses, TDA, Twin Cities, Twin Cities 4th of July Bike Ride, Twin Cities bike club on June 18, 2018 by Russ Lowthian. 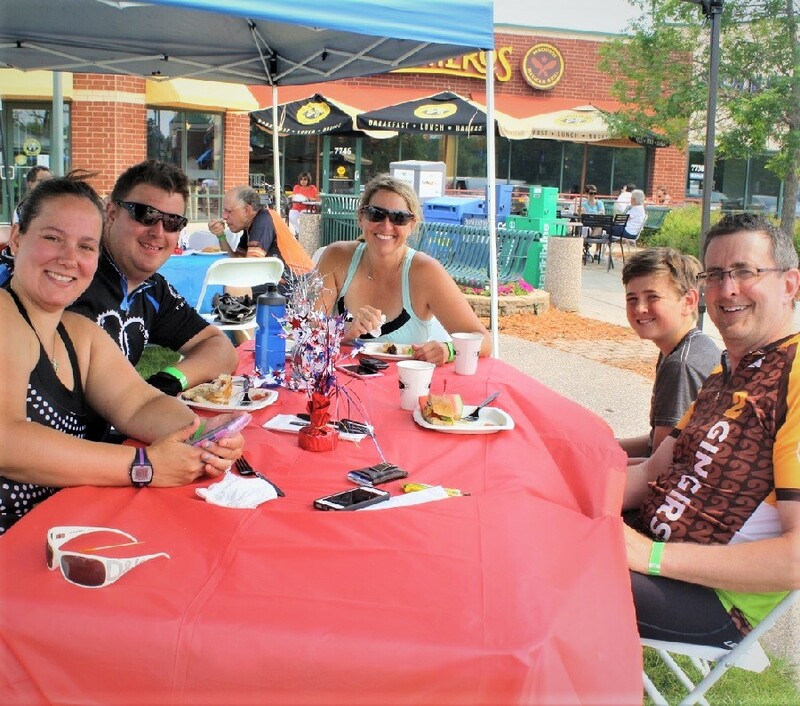 If you are in the Twin Cities what a fun way to spend the early part of your 4th of July, then at the Tour D’Amico (TDA) bicycle ride. 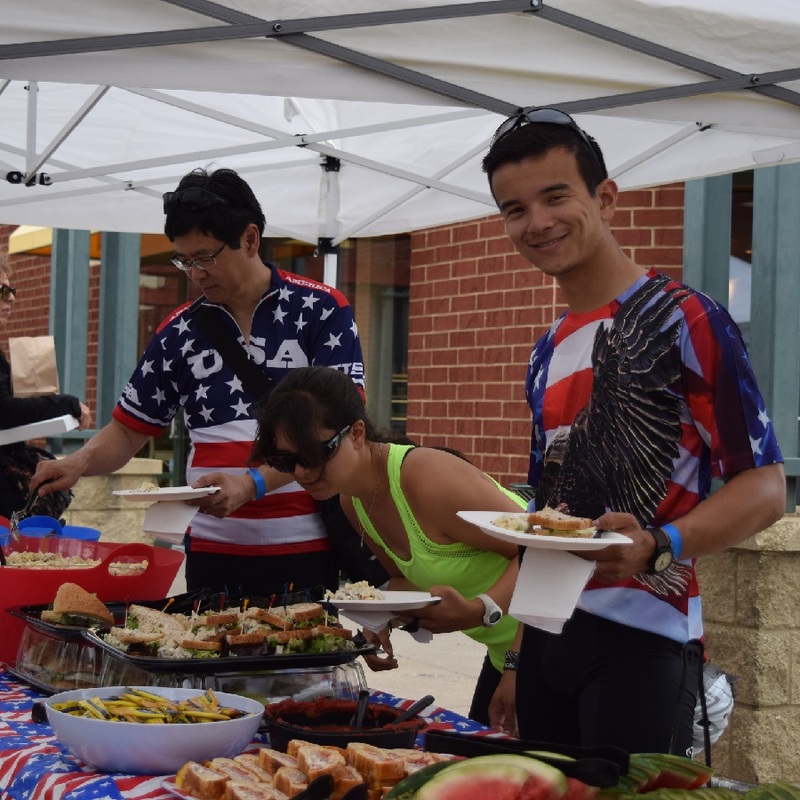 This year the Hiawatha Bicycling Club (HBC) and D’Amico & Son’s Restaurants invites you to start your Independence Day celebration with a scenic bike ride and a delicious picnic upon your return. Now in its 19th year, select from one of four scenic routes options for a fun day. The 19th Annual TDA begins in Golden Valley, MN to start the days festivities. Registration is in the court area outside D’Amico Restaurant in the Golden Valley Commons Shopping Center, just off Highway 55 and Winnetka Avenue. 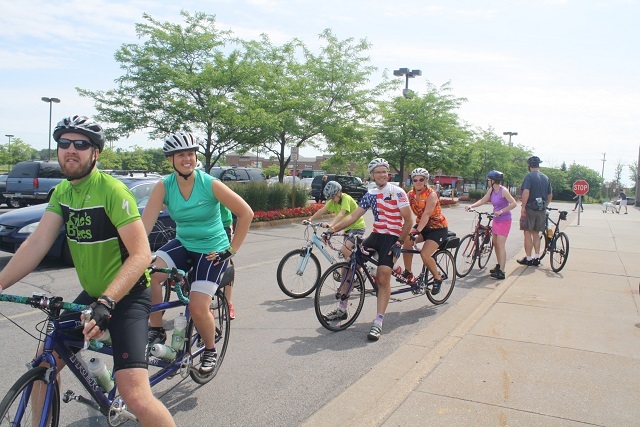 You can pick up your ride packet or sign up with day-of registration and start riding between 8 to 10:30 a.m. on the Fourth. 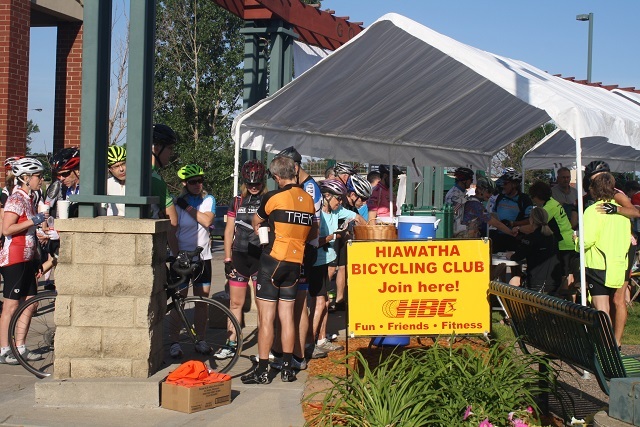 Hiawatha bike club members greeting riders as they check in at the registration table. What a fun way to spend the early part of your 4th of July holiday. 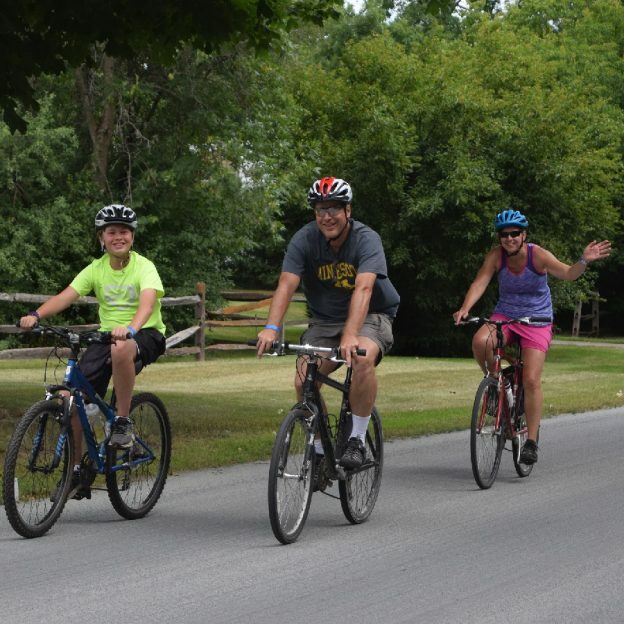 Leisurely riding the scenic parkways and trails with family and friends. 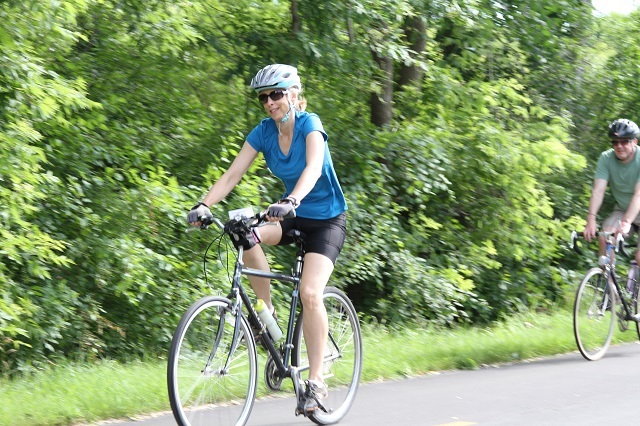 Choose from the 20, 29, 44 or 62.2 mile scenic route all mapped to give everyone riding a chance to explore some of the Twin Cities newest bike boulevards and trails. 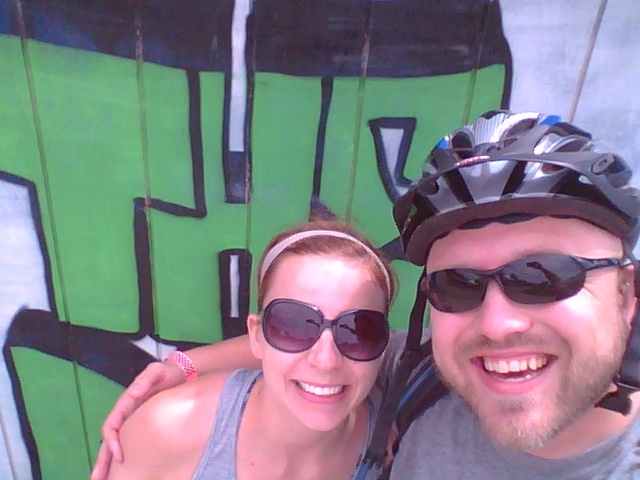 Riding through parts of Edina, Hopkins, Plymouth and Wayzata before returning back to Golden Valley. Riders always enjoy the Selfie Contest on TDA. 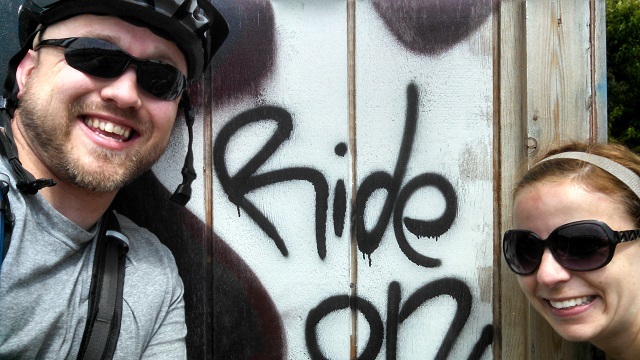 Riders who enter the selfie contest will have fun and may win a prize. 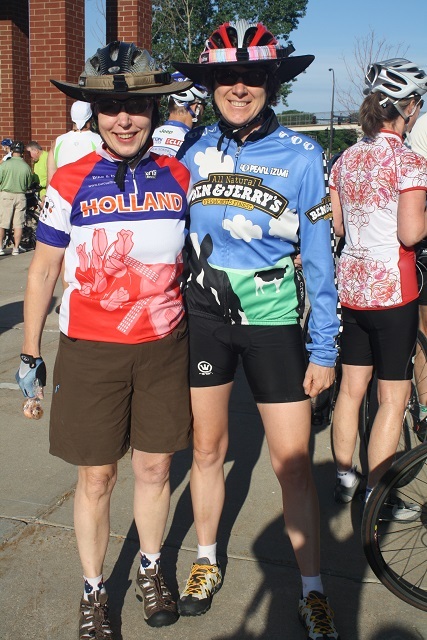 With helmets on and a cell phone ready to take pictures, riders prepare for TDA, having fun with old and new friends. Some of the Tour D’ Amico rider’s warming up for the selfie contest. They have come to ride the Tour D’ Amico from as far away as Burlington, Iowa. Happy TDA riders ready to get out on the route. An adventure awaits these two as they leave Golden Valley. 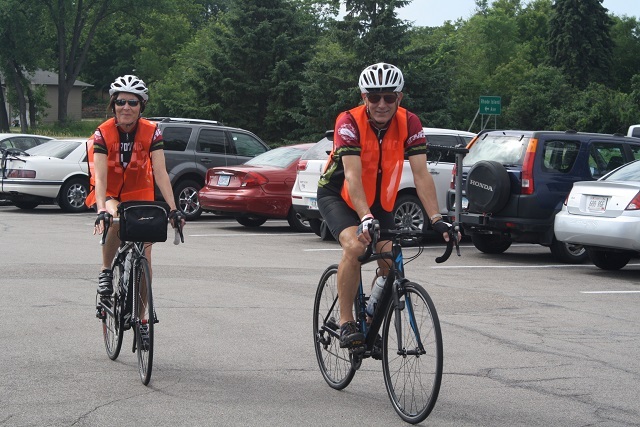 The last two to leave the Golden Valley parking lot, are the Hiawatha Bicycling Club Ride Marshall’s, making sure everyone returns safely. The tours first rest stops on TDA is a Cub Grocery Store, in Plymouth MN. 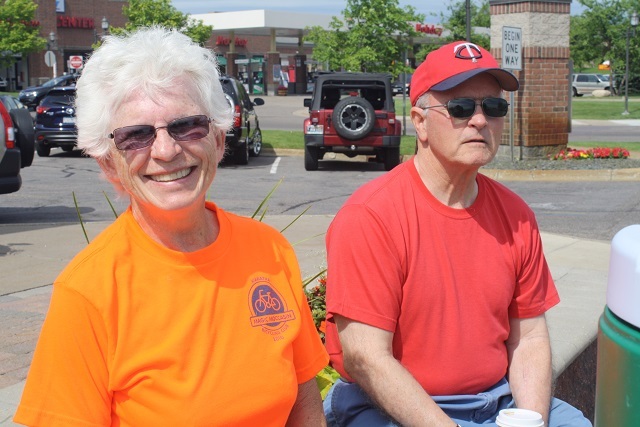 Our happy Hiawatha Bicycling Club hosts at the Plymouth Station Rest Stop. 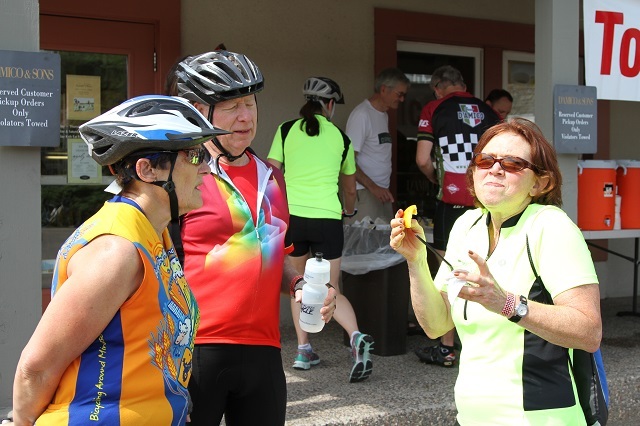 Riders enjoying bananas and other treats before heading back out on the course. 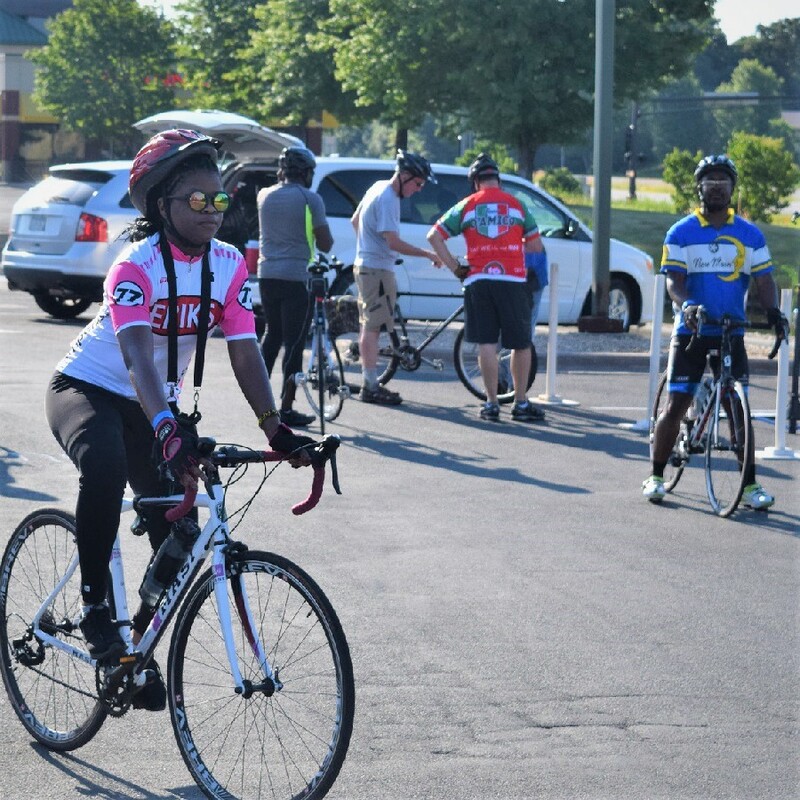 With beautiful weather scheduled, riders will enjoy the low traffic roads, fun trails and scenic landscapes along the way. 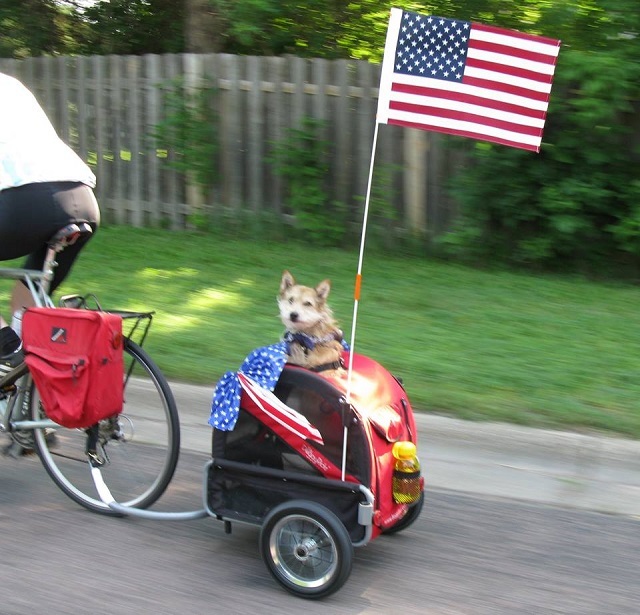 This guy knows how to travel and celebrate the 4th of July, will you join him? 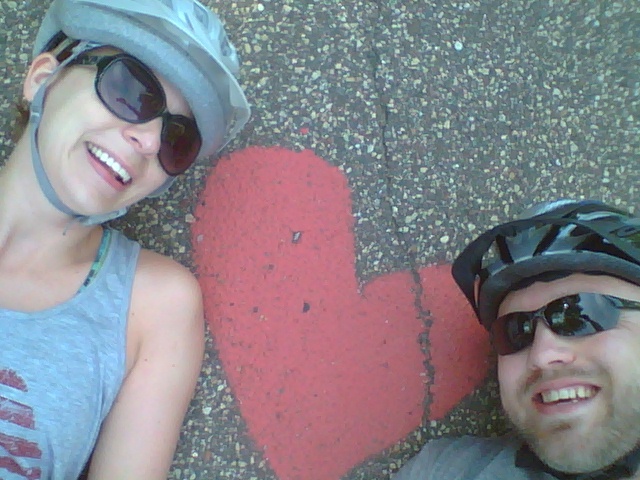 Riding the route to the next rest stop, D’ Amico’d in Wayzata. 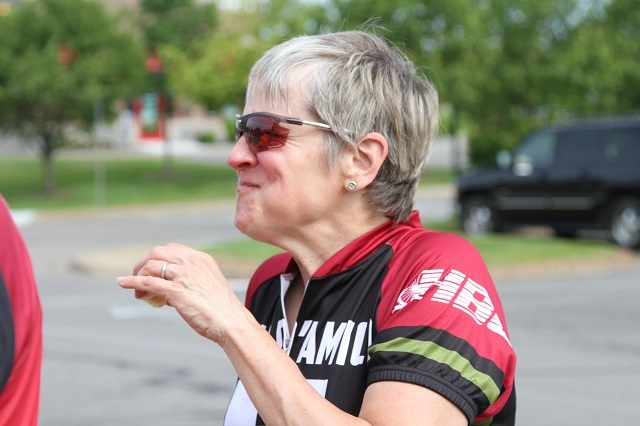 TDA riders will enjoy some of D’ Amico and Sons tasty salads, fruits and other treats at the second rest stop. With this photo, you know it’s good… do we need to say more! 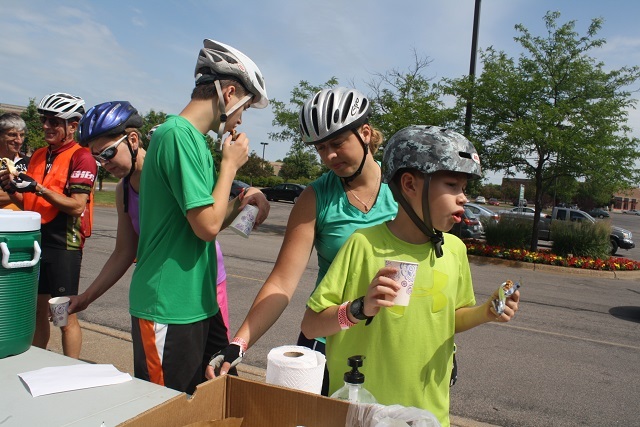 Here TDA riders, from all four routes meander together around Lake Minnetonka’s shoreline to Hopkins for another tasty rest stop. 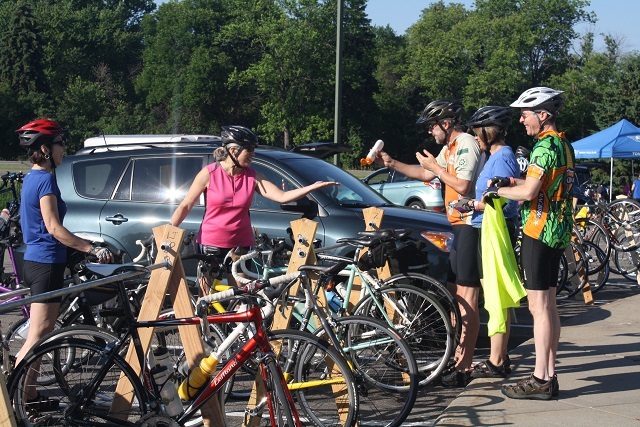 More happy riders ready to check out the rest stop at the Hopkins Depot. It looks like this rest stop was as good as the last two! 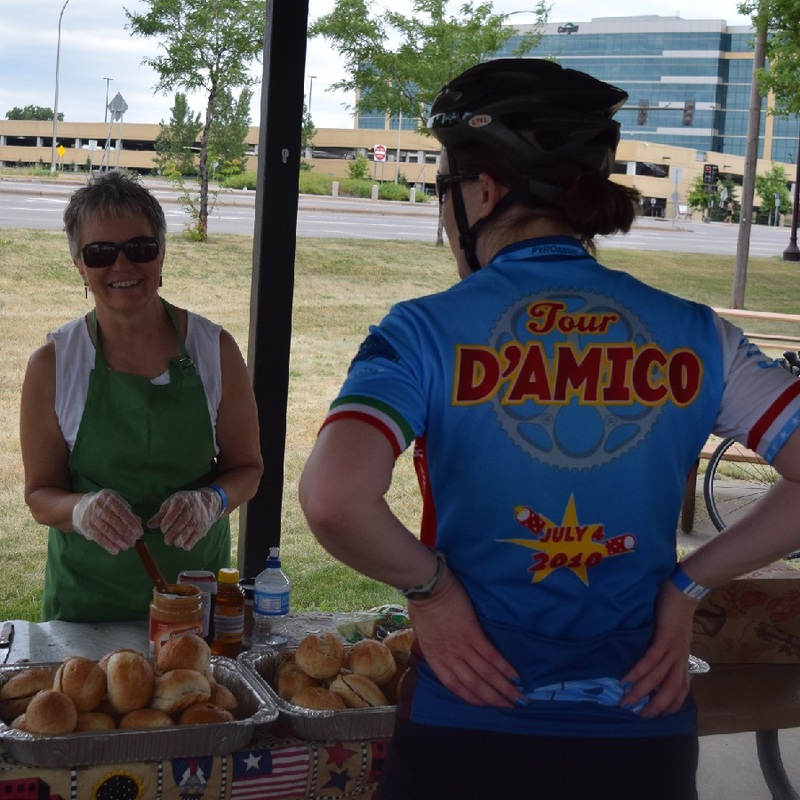 Here, this TDA rider makes her way back to D’ Amico’s in Golden Valley for the delicious picnic. 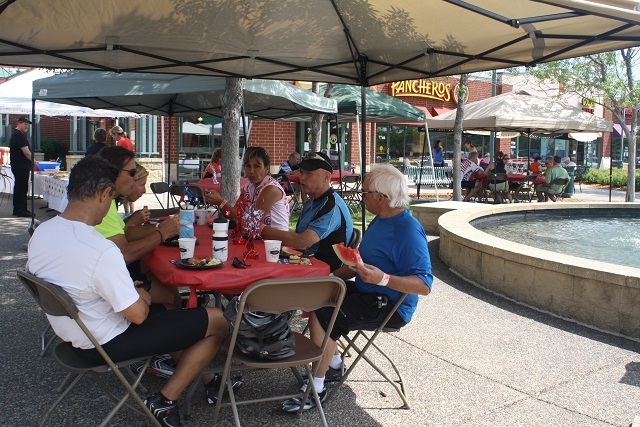 Still smiling, on the last section of the 2017 Tour D’ Amico, riders here make their way back to Golden Valley for a picnic lunch in the court area, next to the fountain. With so many choices, the dessert bars are sinfully delicious. Join in on the fun sharing your TDA experience with old and new friends over a D’Amico’s picnic lunch. 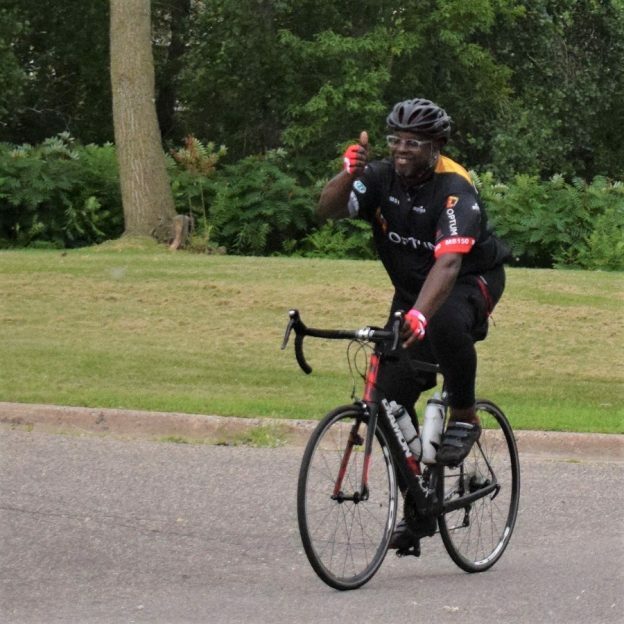 Proceeds from the Tour D’Amico over the last few year’s have benefited the Children’s Lighthouse, trail maintenance projects in the Twin Cities and the bike education program of the Bicycle Alliance of Minnesota. 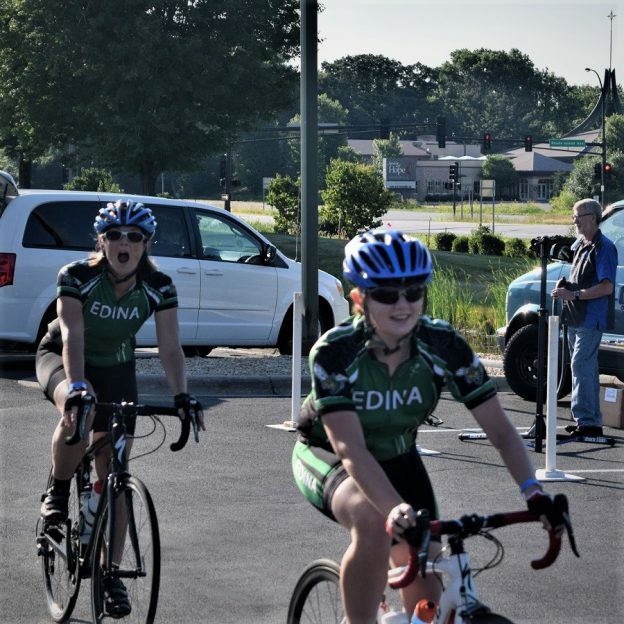 This entry was posted in News and tagged 4th of July Bike Ride, 4th of July bike tour, D'Amico & Son's, HBC, Hiawatha Bicycling club, July 4th bike ride in Minnesota, July fourth bike ride, TDA, Tour D'Amico bike ride, Twin Cities, Twin Cities 4th of July Bike Ride, Twin Cities bike club on June 13, 2018 by Russ Lowthian.